You can fully customise the text displayed to your clients though-out all of the Pay-Per-View system. this is great if you want to localise the text to different languages or if you want to change some of the text displayed. If you want to check out some Pay-Per-View Demos and extra information please visit our Pay-Per-View information page. 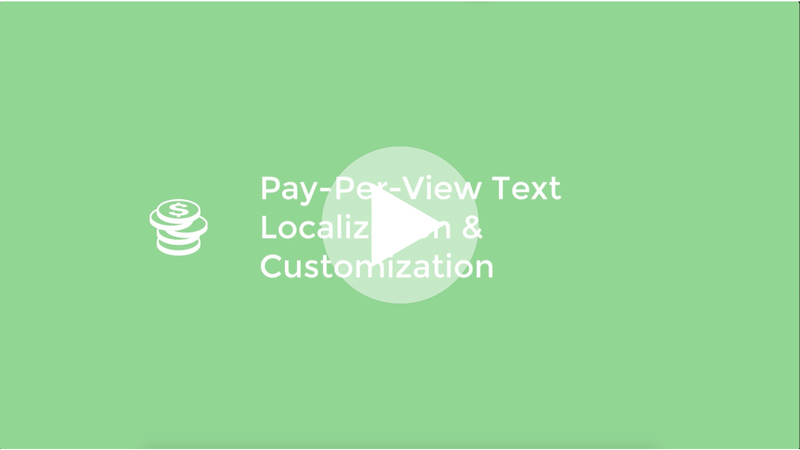 Go to ⚙️ Settings > Pay-Per-View 🔽 > Text Localisation. Here you will see a list of all the different texts that will be displayed to your Pay-Per-View clients when using the system. The default values are in the left hand column. You can edit them to your requirements by entering your desired text to be displayed in the right had columns next to each default value. To save your changes simply click on the green ✅ Save button below.